During the last six years, as the .22 rimfire ammunition bubble expanded and deflated, Aguila Ammunition saw the opportunity to gain market share. They aggressively took up the challenge. They now vie for the title of the largest producer of rimfire ammunition on the planet. At the Shot Show over the last three years, Aquila management informed me they have come very close to doubling their production. They did this by purchasing new ammunition manufacturing capability. Aquila is now producing over a billion rounds of rimfire ammunition a year. More than half of that goes into the United States market. My sources at Aguila would not give a specific number. It is more than 500 million rounds of rimfire ammunition being sold in the U.S. market every year. 500 million rounds is about 10 percent of the productive capacity in the United States. That number is approximately double what Aguila sold in the U.S., six years ago. They did this through innovation, price competition, and the willingness to expand with market uncertainty. Their gamble has paid off. Innovation is one of the key factors. Aquila has a wide line of specialized .22 rimfire products. These include products such as the .22 Colibri, .22 Super Colibri, and the .22 Sniper Subsonic 60 grain cartridges are examples. These are special purpose cartridges. But manufacturers do not know all the special purposes a cartridge may be used for when it is manufactured. Users often find uses the manufacturer never considered. Price competition served Aguila well. They have been able to be competitive with the least expensive American made .22 ammunition. The willingness to expand, and the ability to expand have been extremely important in grabbing U.S. market share. Aquila made the decision to expand early. They brought their new plant on line well before competitors did. That allowed them to fill the voids created by the .22 rimfire purchasing bubble. An important part of expanding was the ability to do so. In the U.S.A. the ability was significantly hampered by bureaucratic regulation at all levels. In the U.S.A., you cannot simply decide to expand plant and do it. You have to obtain permissions from all levels of government. That means permission from the county level on up to the state and federal levels. There is licensing. There is approval by OSHA and the EPA. I have been told, informally, a major U.S. ammunition manufacturer made the decision to expand .22 rimfire productivity early. They had not received the necessary permits four years later. That is a tremendous advantage for manufacturers outside the United States. To their credit, Aguila saw the opportunity, took it, and prospered. Most of the rest of .22 rimfire production goes to South and Central America. While the markets are not a big as the U.S. market, they add up to considerable sales. Some product goes to the rest of the world. I do not have percentages for Europe, Asia, Australia and Africa. A market may be a small percentage of production. That does not mean it is insignificant. Ten million rounds of .22 rimfire is a substantial sale, even if it is only 1 percent of your production. Another success story for Aguila is their minishell shotgun rounds. The minishells are offered in 5/8th ounce loads in 7.5, 8, and 9 shot, as well as in #4 and #1 buck shot rounds, and a 7/8th ounce slug load. The loads have become popular enough to inspire competition from U.S. manufacturers. Aguila management confirmed the product is popular and a good source of profit. 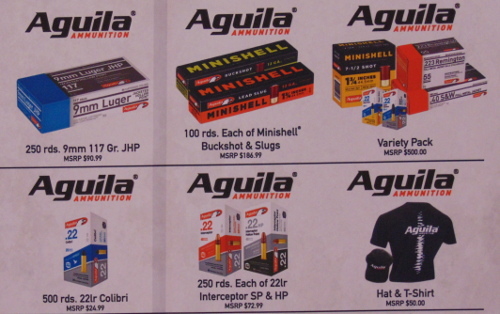 Aguila has organized minishell sporting clays tournaments in Guadalajara and Dallas. The tournaments are well attended and include rimfire and 3-gun competitions. 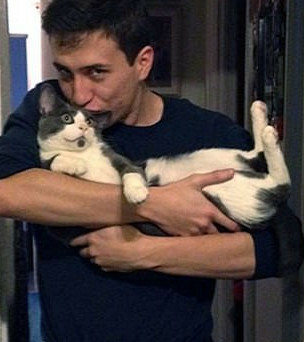 See a need. Fill it. Make a profit. Aquila has followed the time tested formula for success. Aguila rounds work well in my wheel guns, but not so good in my semi-auto pistol or my rifle. I get a lot of FTFs. My Walther PK22 and my Springfield rifle fire CCI flawlessly. I do buy and use Aguila in my revolvers. Personally I don't care how loud the report is, I want the power to hit what I am aiming at, at a distance I'm not going to be measuring out or have to decide which gun the ammo can be used in. I keep maybe 300 rounds of .22 shot and over 10,000 rounds of .22lr. I have over 1,000 rounds of .22 mag because I have a single six convertible (two cylinders) that will shoot them all. the same with my .38, .357 and 9mm. I would like to get several cylinders for my 1851 navy. And several magazines for my PB 74 .22. And I have a rifle for each caliber. The ammo I carry fits everything I carry. I almost bought a .30 carbine revolver. Hearing protection because pistols are very loud.